Eight spirits brands power away from the competition in the latest MSS Bartender Influencer Study. The vast number of Bartenders with whom we speak year over year allows us to have a very clear picture of a brand’s disposition in the on premise. Many elements comprise whether a brand is successful in the market. Key among those are a brand’s image or how it is perceived relative its competitors, the exposure to and effectiveness of the brand’s promotional efforts and lastly, the share of mind the brand holds among those selling it – its share of recommendations to consumers. To easily understand how successful a brand is within its category, MSS has created the MSS Brand Power Index. The BPI is a score that marketers can use to compare against other brands in the same category to track their strength and performance year over year. The initial focus of the Brand Power Index has been on the brands included in the 2013 MSS Bartender Influencer Study. “The role bartenders play provides for a very accurate and prescriptive read on the strength of spirits brands in the on premise environment” says Kevin Moran, President of MSS. “Who better knows what a spirit brand stands for and what suppliers are doing to create a positive and differentiating image? Capturing recommendation levels along with image and programming ratings across brands and categories allows MSS to provide a very robust measure of success." 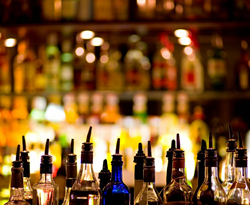 Notes: The 2013 US Bartender Study surveyed thousands of bartenders in the top ten US MSAs between June and August. Results are based on measures of image perception, programming exposure and effectiveness and recommendation by Influencers that are proprietary to MSS. The BPI is based on numerical scores, and not necessarily on statistical significance and provided among only those brands included for ratings in the MSS Bartender Influencer study. MSS’ staff is composed of highly trained, research professionals with a vast array of expertise on a global basis. MSS performs at the very highest standards of research protocol and provides a wealth of actionable information about Influencers in 19 categories from beverages to passenger car lubricants in over 30 countries, at a cost-effective price. For more information, about our alcohol/beverage studies visit us at http://mssmulti.com/our-studies/adult-beverage-influencer-studies or call 480-595-4754 ext. 1227.